An interactive discussion on how solar electric systems work, how a solar array is sited, interconnecting with the utility, environmental/financial benefits, and other details on how to solar power your home! 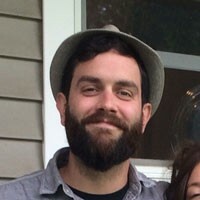 Jordan Kaiser is a Design Consultant for North Wind Renewable Energy in Stevens Point, and has designed and installed renewable energy systems throughout the state of WI. He holds degrees in Renewable Energy with focus on Solar Thermal Installation from Mid-State Technical College, in addition to an associate's degree in Business and Marketing. He is actively pursuing his NABCEP certification in solar electric (PV) Technical Sales.